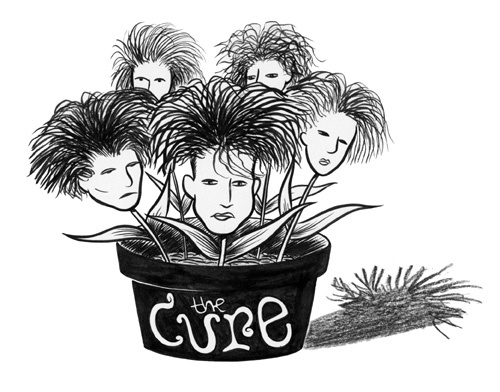 Illustration of The Cure, done for The Rocket in Seattle. India ink and wax pencil on copy paper. Art area is approx. 7" x 5".